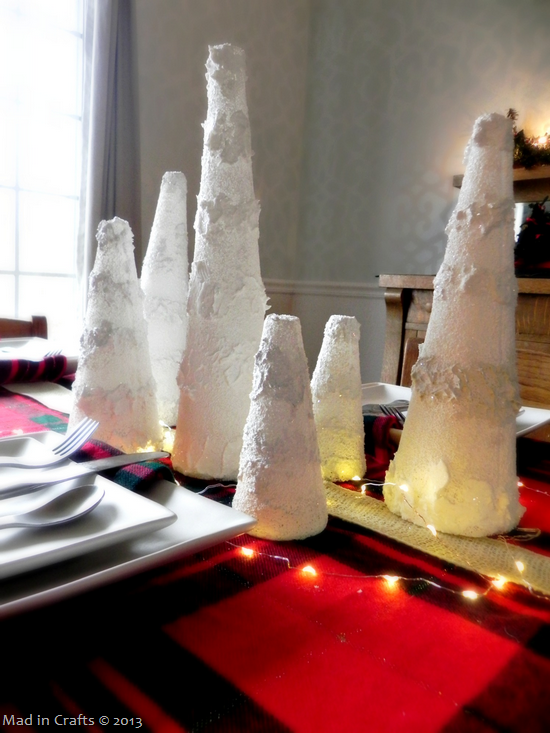 For this month’s Make It: Fun project, I put together a peaceful winter centerpiece for our dining room. 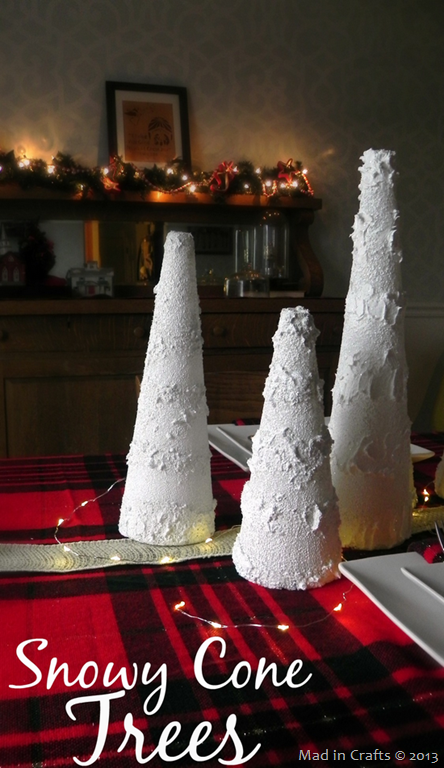 Foam cones become snowy trees in a few easy steps! 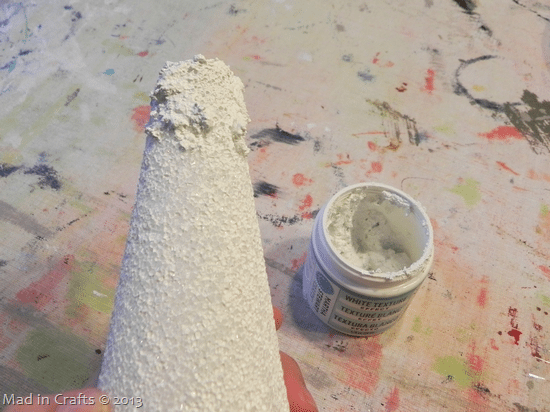 Begin by using the foam pouncer to add a coat of white craft paint to the foam cones. You won’t get total coverage (unless you coat the whole surface with Smooth Finish), but that is okay. 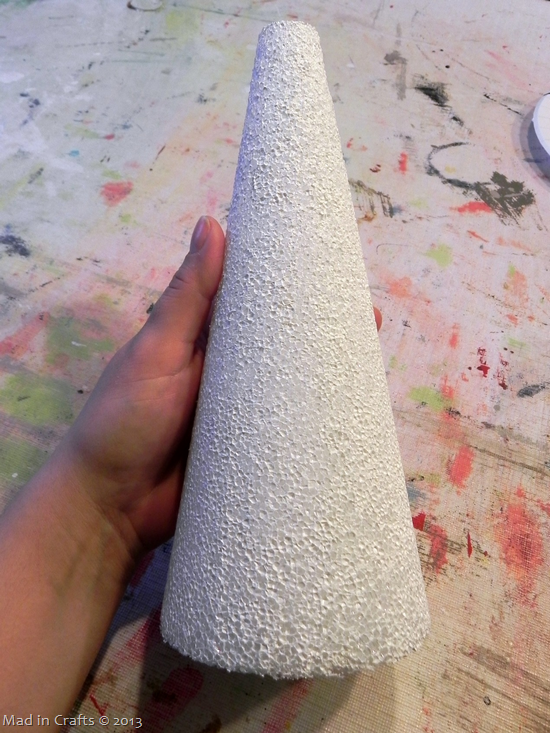 The uneven paint gives the cone more snowy texture. 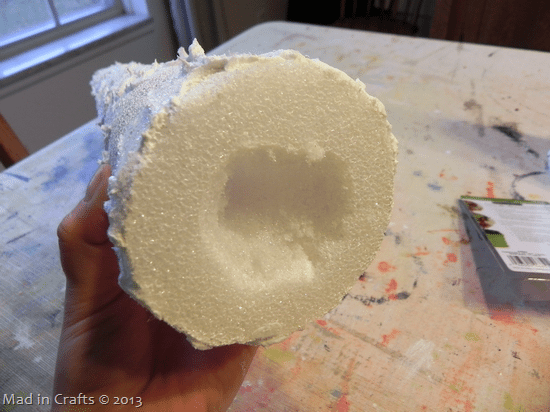 Use the plastic knife to spread on the snow texture in layers down the length of the cone. Experiment with different application techniques like dabbing or swirling to create different snow looks. 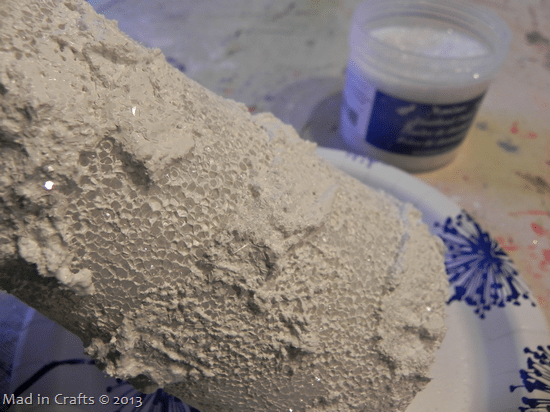 While the snow texture is still wet, sprinkle the Diamond Dust over the snow texture. I have a big time crush on this glitter. Made from finely ground glass, the dust has a sparkle that is totally different from traditional glitter. It catches the light just like the surface of freshly fallen snow. 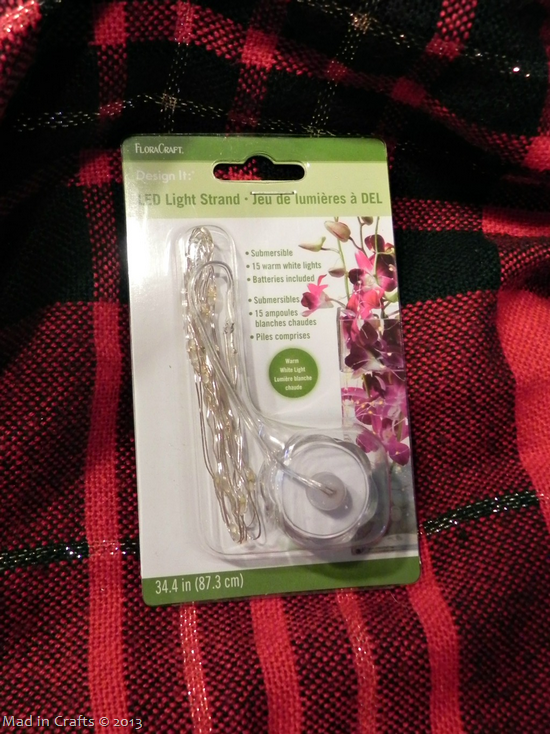 Another product I am digging are these Floracraft LED lights. They are itty bitty, but give off surprisingly bright light. They are also submersible! Imagine how pretty they would be in a flowery wedding centerpiece! 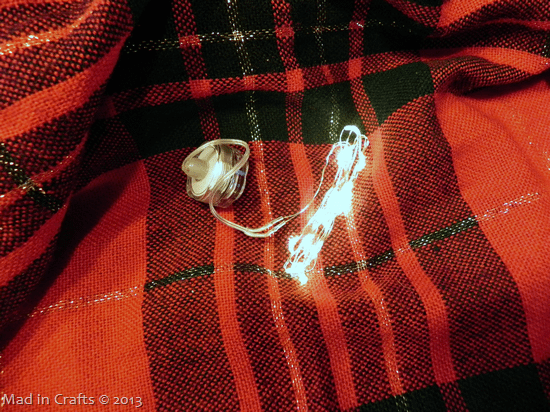 The little battery packs turn on with a twist. Look how bright the lights are! I wanted to add the lights to my table centerpiece without the battery packs being visible. 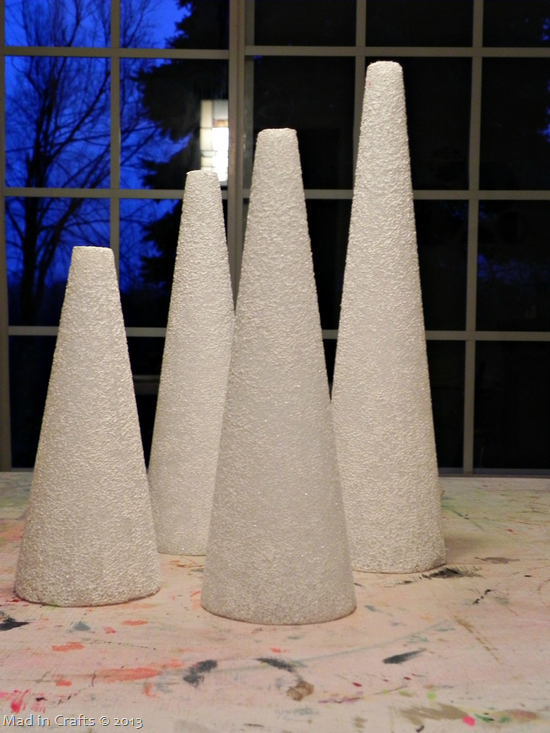 I scooped out some of the cones’ bottoms to create a hidey hole for the battery packs. I still have access to turn them on and off, but they don’t detract from the décor. 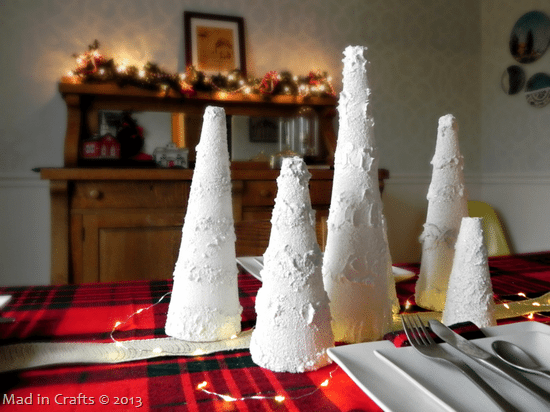 I grouped my snowy trees in the middle of my dining room table and lit up the lights. The sparkle on the trees catch the light coming in from the window during the day and from the LED lights at night. 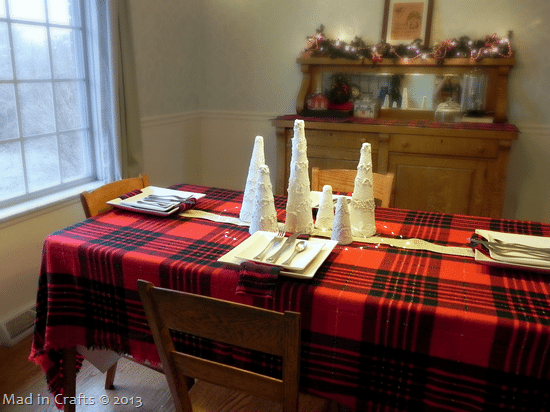 The snowy cones fit in with the rest of my cozy, plaid decorations this year. And they are not specific to Christmas, so I can leave them up after the holiday too! If you are interested in my other Make It: Fun projects, please check out my Year Round Wreath, Caramel Apple Bar, Faux Pallet Cornice, Ruffled Plaid Trees, and Winter Pom Wreath.